This article provides an overview of the nudibranch molluscs (Nudibranchia) presently considered endemic to New Zealand. Ten of the 41 endemic species are selected for special consideration and are illustrated in colour. These are Tritonia incerta Bergh, 1904, Jason mirabilis Miller, 1974, Phidiana pegasus Willan, 1988, Janolus novaezelandicus (Eliot, 1907), Chromodoris aureomarginata (Cheeseman, 1881), Cadlina willani Miller, 1980, Trapania rudmani Miller, 1981, Aloiodoris lanuginata (Abraham, 1877), Aphelodoris luctuosa (Cheeseman, 1882) and Dendrodoris citrina (Cheeseman, 1881). Notes are provided on the history of discovery of these endemic species. Additionally, new observations from the Northland coast on their diet and depth range, plus geographic distribution and size distribution relative to latitude throughout the New Zealand Exclusive Economic Zone are provided. Our observations confirm the unpredictability of populations of nudibranchs over time and space. A. HERMOSILLO & D.W. BEHRENS. The opisthobranch fauna (Gastropoda, Opisthobranchia) of the Mexican states of Colima, Michoacán and Guerrero: filling the faunal gap. The opisthobranch fauna of the Mexican states of Colima, Michoacán and Guerrero has not been studied previously, leaving a large (1796 km) geographic gap between Jalisco, Mexico and Costa Rica in our knowledge of the tropical Pacific fauna. Surveys conducted over a two-year period have documented 76 species of opisthobranch molluscs. Sixteen species are believed to be new, and undescribed. The geographical occurrence and habitat/substrate type for each species is reported and the undescribed species are briefly discussed and illustrated. M. SCHRÖDL, M.-A. ALARCÓN, L.R. BEDRIÑANA, F.J. BRAVO, C.M. BUSTAMANTE, R. CARVALHO, G. FÖRSTERRA, C. GALLARDO, V. HÄUSSERMANN & A. SALMEN. Nudipleura (Gastropoda, Opisthobranchia) from the southern Chilean Comau Fjord, with redescription of Polycera priva Er. Marcus, 1959. The southern Chilean system of fjords (41-52°S) is thus far very poorly investigated with regard to its marine invertebrate fauna. The present study summarises new distributional and biological information on nudipleuran gastropods from the Comau Fjord (42°10’-42°30’S) that has been obtained by general biodiversity related activities since the establishment of the Huinay Scientific Field Station in 201 and by a joint expedition in March 2004. In total, 12 nudipleuran species (1 Pleurobranchoidea, 11 Nudibranchia) were found, including the southernmost records of Doto uva Er. Marcus, 1955, Phidinia lottini (d’Orbigny, 1837), and Tergipedidae spec. 1, as well as the southernmost Pacific record of Cadlina sparsa (Odhner, 1921). All these species appear ro be part of the warm-temperate adapted fauna. Unlike its congeners, Berghia platei Bergh, 1898, was observed to feed on sea anemones in aquaria. Photographs of living specimens as well as descriptions of habitats and biological observations are given. The poorly known Polycera priva Er. Marcus, 1959, is redescribed anatomically and detailed information on the formerly unknown reproductive system is presented. M.A. FISCHER, G. VAN DER VELDE & E.W. ROUBOS. Redescription of Thecacera darwini Pruvot-Fol, 1950 (Gastropoda: Opisthobranchia: Nudibranchia) from the Chilean coast. The nudibranch Thecacera darwini Pruvot-Fol, 1950, is redescribed in detail based on material collected from the Chilean coast. New data are presented on the rachidian tooth and the digestive system. Thecacera darwini is especially characterised by the following characters: the reproductive system possesses two seminal receptacles and one, small fertilisation chamber that is located close to the mucous gland; the female gonad consists of three parts, a mucous capsule and a membrane gland; the central nervous system consists of paired, separate rhinophoral, cerebral, pleural and pedal ganglia and a single abdominal ganglion; the circulatory system possesses a large heart-shaped blood gland; each capsule in the egg mass contains 4 or 5, tiny, spherical eggs. O. ANGULA-CAMPILLO. A four year survey of the opishtobranch fauna (Gastropoda, Opisthobranchia) from Baja California Sur, Mexico. A checklist of the opisthobranch fauna of both coasts of Baja California Sur is presented for the first time. One hundred and seventeen species were collected over a four year period. This paper includes 22 new records and three range extensions. M.C. MILLER. A new species of the dorid nudibranch genus Polycera Cuvier, 1817 (Gastropoda, Opisthobranchia) from New Zealand. Polycera maddoxi spec. nov. is decribed and illustrated from specimens from the North Island of New Zealand. The new species is compared in detail with three temperate water Australian species, two named and one undescribed, which have a pink or red ground colour. It is distinghuisable from the two named species, Polycera parvula (Burn, 1958) and P. janjukia Burn, 1962, in having (1) rounded markings [i.e.white rings with a yellow centre] along the sides of the body, (2) four large opaque white patches dorsally, (3) black pigment speckled densely on the rhinophoral club, gills and sometiomes the notal brim, and (4) 2 pairs of short, similar-sized velar processes. It is less clearly separable from the undescribed Australian species, differing principally in having (1) fewer velar processes, (2) the rounded markings of a centre ond one ring, (3) yellow spotted side of the foot, (4) white pigment on the rhinophores and (5) three marginal teeth in a half row of the radula. Type locality: New Zealand, North Island, Port Taranaki, jetty piling on breakwater at 3-4 m.
M.C. MILLER & J.M. HAAGH. A new species of the dorid nudibranch genus Tambja Burn, 1962 (Gastropoda, Opisthobranchia) from Australasia. Tambja tenuilineata spec. nov. is decribed an illustrated. It is one of four nembrothinid species occurring commonly in the warm temperate waters of the east coast of North Island, New Zealand and eastern Australia. Since its discovery in New Zealand more than 30 years ago, the new species has a various trimen been identified as Nembrotha kubaryana Bergh, 1877 and Tambja affinis (Eliot, 1904). A classification and detailed diagnosis of the genus Tambja Burn, 1962 is presented; the only character which seem to separate clearly this genus from the closely related Nembrotha Bergh, 1977 and Roboastra Bergh, 1877 is the simple rhachidian tooth and strongly cuticularised labial disc. The new species is distinguished by the regular longitudinal patterning of the integumentary ridges and lines of colour (yellowish or bluish green and brown or black, the latter coalescing to form an irregular network on the head and tail), the very slender body when extended, and reproductive apertures at a more posterior position than is usual for the genus Tambja (level with the pericardium). Tambja tenuilineata spec. nov. is clearly distinct from all other known Tambja species. Type locality: New Zealand, Poor Knights Islands. G. COBB & R.C. WILLAN. New records of nudibranchs (Gastropoda, Opisthobranchia) for Australia and for southern Queensland. Recent surveys on the nudibranchs of the Sunshine Coast region of southern Queensland by G. Cobb (2003-2004) yielded significant new records for the otherwise tropical species – one is a new record for Australia (i.e. Chromodoris willani Rudman, 1982) and seven new records for Southern Queensland (i.e. Hallaxa atrotuberculata Gosliner & S. Johnson, 1994, Chromodoris annae Bergh, 1877, Glossodoris aeruginosa Rudman, 1995, Glossodoris dendrobranchia Rudman, 1990, Phyllidia exquisita Brunckhorst, 1993, Phestella minor Rudman, 1981 and Cerberilla ambonensis Bergh, 1905). Besides documenting these new records with photographs, this article also provides the locations for all these species. Significantly, eight of the temperate Australian species recorded prior to 1995 were not recorded during Cobb’s survey (i.e. Plocamopherusa imperialis (Angas, 1864), Chromodoris daphne (Angas, 1864), Hypselodoris bennetti (Angas, 1864), Mexichromis festiva (Angas, 1864), Sclerodoris tarka Burn, 1969, Thordissa verrucosa (Angas, 1864), Aeolidiella foulisi (Angas, 1864) and Austraeolis ornata (Angas, 1864). We speculate that these changes in the nudibranch fauna of the Sunshine Coast might point to long term alteraqtion caused by climate change. M.C. MILLER & R.C. WILLAN. 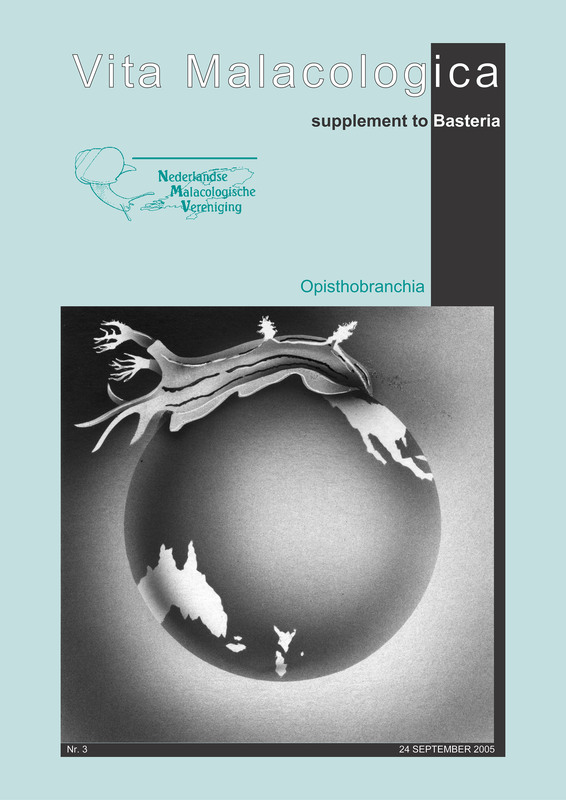 A redescription and taxonomic reappraisal of the Indo-Pacific aeolid nudibranch Trinchesia sibogae (Bergh, 1905) (Gastropoda, Opisthobranchia). Trinchesia sibogae (Bergh, 1905) is redescribed based on specimens from northern and eastern Australia. The species’ geographic range is now known to extend throughout the tropical and temperate Pacific Ocean. The distinctiveness of T. sibogae is considered with respect to other morphologically similar Trinchesia and Phestilla species and, as a result, the present generic determination is retained with reservations. Some derived character states displayed by this intriguing species (i.e., ceratal insertion on elevated fan-like brackets and features of the gut) are unique within the Tergipedidae and suggest the largest alledged genus in hat family, Trinchesia, is probably not monophyletic. The whole family is greatly in need of a cladistics analysis. Trinchesia sibogae should definitely be included in such an analysis and this paper provides sufficient anatomical detail for it to be taken fully into account.